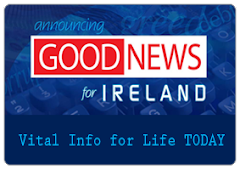 What Really Is The Good News? The Bible is the world’s No. 1 best seller. No other book even comes close to that. It has sold many millions of copies throughout its history. Ireland's greatest national treasure is copy of the Bible (gospels) called 'The Book of Kells'. Millions of people have turned to God's Word -the Bible for answers. The Bible has been a source of inspiration & quotations for countless thinkers, rulers and politicians through the years. If you have never read it -let us encourage you to do so now. The Bible is sixty-six separate books inside one book. The Bible was written during a period of 1,500 years by over 40 different human authors from a variety of backgrounds and occupations. They include shepherds, fishermen, a tax collector, a king, a prime minister, a doctor and a military general. Some of the books are history, some are poetry, some are about prophecy and some are mainly teaching books. The Old Testament tells us about the origins of the world and God’s dealings with mankind up until the time of Jesus Christ; the New Testament tells us about the life of Christ, why He came to the earth, and how we are to respond to God. Because the Bible is unlike any other book ever written. Bernard Ramm said, “A thousand times over, the death knell of the Bible has been sounded, the funeral procession formed, the inscription cut on the tombstone, and the committal read. But somehow the corpse never stays put. No other book has been so chopped, knifed, sifted, scrutinized, and vilified. Not only is the Bible unique among other books, but the Bible claims to be the word of God. Over three thousand times in the Old Testament we read, “Thus says the Lord” or “God said.” It is God’s word to humanity. Within its pages we find this glorious and majestic God who has plans for this world and for eternity that could only be described as perfect. And the Bible has all the answers about the deepest things in life. What is God like? What am I like? Where did I come from? Why am I here? Who is Jesus Christ? What happens to me after I die? 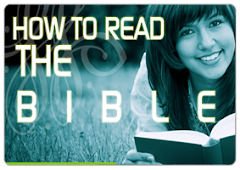 These are compelling reasons why you should read the Bible. Where should I start reading? At the beginning? The Bible is a big volume. While all of it is profitable and useful, it can be difficult to know where to start reading. Why not start reading in one of the Gospels (Matthew, Mark, Luke and John)? These books of the Bible tell us the story of the life of Jesus Christ—what He taught, what He did and why He died on the cross. These books are filled with extraordinary events. Do I read it just like any other book? Yes, you can read it like any other book or like the newspaper. We want to find out what the author’s intention was and take his words at face value. That’s what we do when we read a newspaper; we can do the same with the Bible. But pray before you start reading. Ask God to help you to understand what He is saying. • What does this tell me about the nature and character of God? • Does this tell me anything about how unique Jesus Christ was? • What does this tell me about myself and all the rest of humanity? • Should what I just read make me concerned about my eternal destiny? • Is there anything God wants me to do that is revealed in what I just read? Can reading the Bible change my life? The Bible is God’s message to us, and through it we learn how we can know God. It has changed the lives of millions of people down through the ages. Reading the Bible is reading about the God of the Bible. He has revealed Himself in its pages. He can change your life completely! You can know for certain the answers to many questions that people wonder about. This is telling us that what God says makes sense out of this life. Why not start reading it today? published by aontas ireland. Picture Window theme. Theme images by andynwt. Powered by Blogger.